FRIDAY, Feb. 10, 2017 (HealthDay News) -- Rep. Tom Price was confirmed by the U.S. Senate early Friday morning to head up the U.S. Department of Health and Human Services. As chief of that agency, the Republican from Georgia will oversee the planned dismantling of the Affordable Care Act, the controversial health care reform law also known as Obamacare. He will also be responsible for implementing any substitute health care reform package that Republicans craft in the coming months. 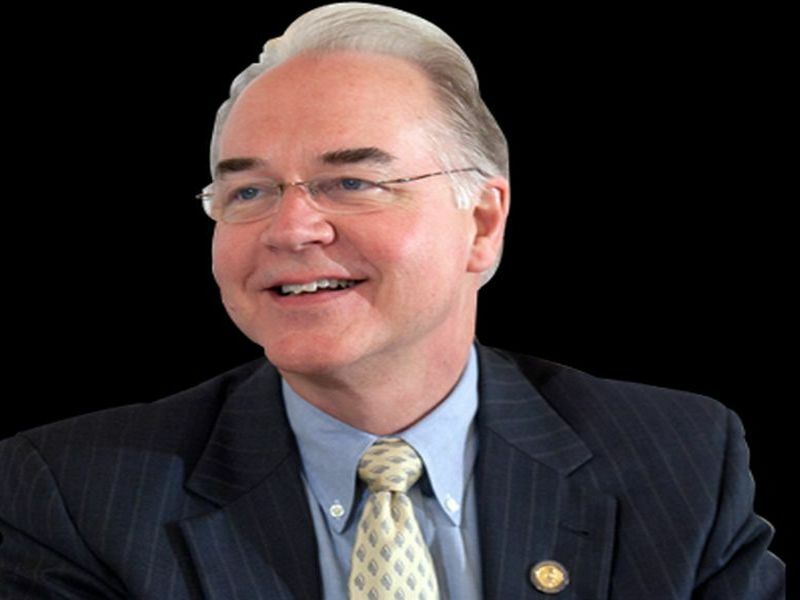 While in Congress, Price was a strident critic of the Affordable Care Act and had introduced an alternative health care reform bill. Following a contentious debate that went into the wee hours of Friday morning, Price was confirmed by a 52-47 vote that split along party lines. Much of the recent controversy surrounding his appointment has centered on questions concerning the orthopedic surgeon's ethics and investments, The New York Times reported. Republican senators applauded the confirmation. "Who better than a doctor to head an organization that covers the wide variety of major health care programs," asked Sen. Michael Enzi, a Republican from Wyoming. Price will be the first physician to head the agency since 1993, the Times reported. Price is "one of the most capable, well-prepared individuals that President Trump could have chosen," Enzi said, according to the Times. Senate Majority Leader Mitch McConnell, a Republican from Kentucky, added that Price "knows more about health care policy than just about anyone." Organizations that focus on women's health care took issue with Price's confirmation. "As physicians who care for women, we are deeply disappointed that Tom Price has been confirmed as the Secretary of Health and Human Services [HHS]," Dr. Anne Davis, consulting medical director for Physicians for Reproductive Health, said in a statement. "During his time in Congress, Price was a staunch and rigid opponent of comprehensive women's reproductive health care and the Affordable Care Act [ACA]," she added. "The ACA's requirement for health plans to cover preventive care, such as contraception, has been a resounding success, as well as an important step to address health disparities," Davis stated. "The days of paying extra fees or high out-of-pocket costs for birth control should remain a thing of the past. The ACA has also brought coverage of childbirth, assistance with breast-feeding, well-child visits, and so many other essential parts of protecting maternal and child health." Meanwhile, other health care advocacy groups applauded Price's confirmation. "From dollars to health care delivery, Rep. Tom Price has experience," Twila Brase, president and co-founder of Citizens' Council for Health Freedom, said in a statement. "He [was] chair of the House Budget Committee, he knows what it's like to work with Congress and he's taken care of patients as a physician," she added. "Dr. Price had a bill to repeal every word of the Affordable Care Act, and we trust that he still plans to do everything possible to make that happen," Brase added. "He has publicly stated his opposition to government-run health care and socialized medicine." Until this week, congressional Republicans and President Donald Trump had been pushing for a quick repeal of the Affordable Care Act and simultaneous passage of an alternative health care reform law. But Trump said in an interview on Sunday that any repeal and replacement effort could take until 2018 to implement. The agency Price now heads has an annual budget of more than $1 trillion. Agencies within the department regulate food and drugs, sponsor much of the nation's biomedical research and combat public health threats, according to the Times.